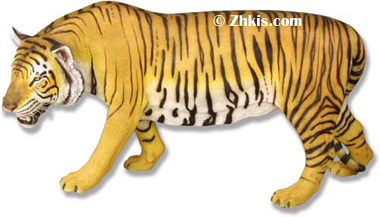 This life-size tiger statue is shown here in full color. An excellent display piece. Would be perfect for a school mascot or lobby. He has made of heavy weight fiberglass. Mounting options are also available for this piece.